I was stricken hard with a thought. We are going to be apart. Yet, continual denial from both sides. Why? I ask myself everytime. Maybe I want to live in Oblivion as it seems brighter. Or maybe it's just the love beneath my skin. I want to let it loose, but end up oppositely everyday. To ask those endless outbursts of laughter, you ignited. At the thought of letting you go. And the anger that makes me go mad. Or that mischievous looks, you always kinda have. I am hard stricken by reality again. To have you a little more. And in the end shatter like a phoenix. Do i deserve dark or to be bounded with light ? Do i deserve happiness or only strive? Does light search a place for its existence? As dark is spread all around without any persistence. Why are people afraid of DARK? Just because they want to see the glow. Light is not always that bright. but darkness is always the other sight. Just because its away from the shine. As it can't be noticed by naked eyes. Sometimes its better than light. and keep us out of ugly sights. Hard work is key, to get out of the cause. To achieve real glow, determination must be acquired. Just you & I sit here. Why you carried it over here? Until then, will you just let me be? Because how else will I remain sane? I’m letting you know what hides in all your caves. Why kill your own, aren’t you of same flesh and bones? Why kill them in the names of names that you made? Why have your freedom seized in a raid or a bed or have it dead? And I see all of this and I see more and I wonder how you became so thick? Is how did you misconstrue the concept? For customs, society, “safe” future, love, hate or even a poem. What I’m waiting to see now is for long will you continue this stint? While you sit in your homes curved into a ball. And for the way you swing. Make some hearts skip beat. And make them a bit helpless. They are looking just for you. Let them swril in your love. while some closed the doors. They just want us to soar. make money from the rooms that are empty. Outside with a raised voice. I can see whats going. I saw someone approaching her. As the image was blur. It spoke into my mother's ear. I could hear very clear. It hardly made any sense. I was shinning like a pearl. Someone yelled it's a GIRL. I already have a sister. Because she was a tongue twister. Because she had to get married as per the trends. I have lot of memories. Although I didn't wanted to. He did not have a heart. He died by an accident. And cursed for that incident. Was told to be a bad luck. just like a wooden duck. and nights were difficult to survive. And my hopes came alive. pain was not easy to bear. there is always a reason behind it. life gave me a strong hit. The place where I belong now. which my heart didn't allow. For my body to be feed. past was more difficult to strive. future was worse to survive. your sister/ your aunt or your wife? I lay dead-alive on a haunting bed. I get ready to be ripped again. With lust in his vein. But still what is my future. Would you prefer me as your teacher? Completely covered with the shame. Nobody have the right to ask me why. But there are many who wants to fly. I wear my own crown. I am here by my choice. And father gifted me a car as a toy. To be a baby boy. How to shoot a gun. Still was being loved the most. For my family to boast. Someone gifted me a school bag. And also a name tag. Thought they were big hearted. With whom my seat was shared. Because that’s what my father told me to be. Yet it was very tiring. Some were very close to me while some just pretends. For which I was devoted. So I went to my neighbor. But the one present was a labour. He pulled me closer and started touching. And the only thing he was clutching. He threw me to the floor. But my body was on a roar. It changed the one I was. Now a scared, quiet boy with lot of flaws. It infused many things into my brain. Physics had theorems and chemistry offered me chemical chains. I learnt something I was never taught. My inner conscious everyday fought. It is in their mind like a knot. I had many questions in my mind. My presence will be declined. Struggling with this lie himself. It’s what I wanted to be now. Effects my father’s reputation somehow. It was all that I got from my father. All busted like bubbles in the lather. My heart was not obligated. I bought a hip scarf. And I shined like a Norse dwarf. A long chain of rejections. Was what I got in most of the selections. When my eyes were not dry. Make me remind that men don’t cry. When I wanted to share. Made others believe that men don’t feel and men don’t care. Only a female can be bruised. But if we wanted to share. We are made fun of, and sometimes declared as introvert or even a pervert. We are questioned on our maturity. Let me grow like a tree. Which evolution do you believe in??? Well, the concept of evolution has been explained by many researchers, many ideas were put and the most relevant one was picked. Well, now they say that the quest for survival is the reason behind evolution. Animals evolve because of the greed of survival. My question is how are you even able to say that humans are evolved from apes. 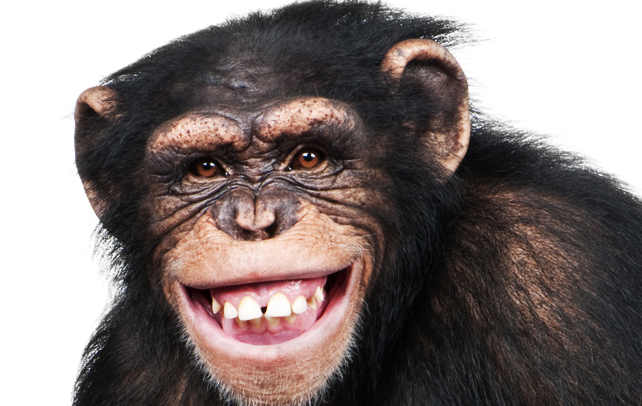 Could be good if researchers say that humans closely resemble apes. But saying apes evolved to become humans is lame! Can they explain why do we still have apes! Well said there's survival of fittest, apes survived which means they are apt to the environment, and which further means that they don't need to evolve more. Well, how do you say now that humans evolved from apes!